When you think back to your childhood, certain things probably come to mind. Toys you played with, TV shows you watched, or maybe books you’ve read. Some of these things come and go between generations, but there are a few things that stick around for a while. One of those things is a family favorite – Thomas the Tank Engine. I remember seeing Thomas the Tank Engine and his friends on TV and in books when I was a kid, and he’s still going strong today! In fact, you can see Thomas and his friends up close right here in Rockford! 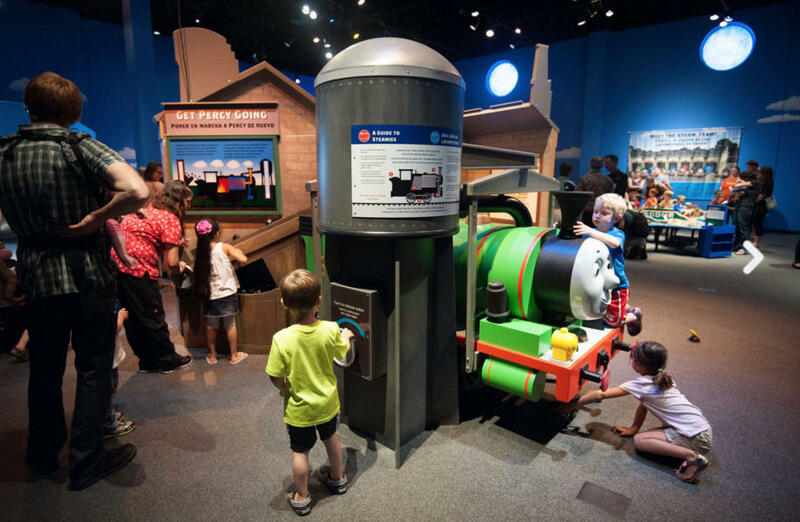 Our friends at Discovery Center Museum have a new temporary exhibit up from now until May 12 called “Thomas & Friends: Explore the Rails” where kids can explore and have fun with Thomas…and do some learning in the process! In this new exhibit, families are transported into Sodor (where Thomas and his friends live) and can pretend to be a resident of Sodor for a day! Kids will be able to help Thomas’ friend Percy by fixing his wheels, practice packing a train car full of luggage (making sure the train leaves on time!) and learn about how trains work. All of the activities are fun for kids, but they don’t even realize how much they’re also learning! The Thomas & Friends exhibit focuses on hands-on STEM concepts (Science, Technology, Engineering, Math), so while kids are having fun, it might also be sparking an interest for future learning! The folks at Discovery Center Museum always do a great job bringing different exhibits to the Rockford region. Not only have they brought childhood favorite, Thomas the Tank Engine, to town, but they’ve also brought us into the world of other iconic characters like Curious George and Clifford the Big Red Dog. You never know what exhibit they’ll bring in next, but you can bet that it will be fun for the whole family! But don’t just come to the museum for the temporary exhibits. Stay for the rest of the amazing museum! Discovery Center Museum has always been one of my favorite attractions in the region. I have fond memories as a kid visiting the museum and playing around the various exhibits. I bet nearly everyone (including myself) that has been to Discovery Center has spent too many times trying to create the perfect soap bubble around themselves…only to have it pop when it reaches your knees. One of my other favorites was the shadow room where you had to have your timing just right where you could be jumping in the air when the flash goes off to seem like your shadow was levitating. Although Discovery Center is fun as a kid, adults can have just as much fun when they take little ones to the museum! I can&apos;t wait until my niece and nephew are just a little bit older so I can take them and watch them experience the Discovery Center Museum for the first time! Photos courtesy of Discovery Center Museum. 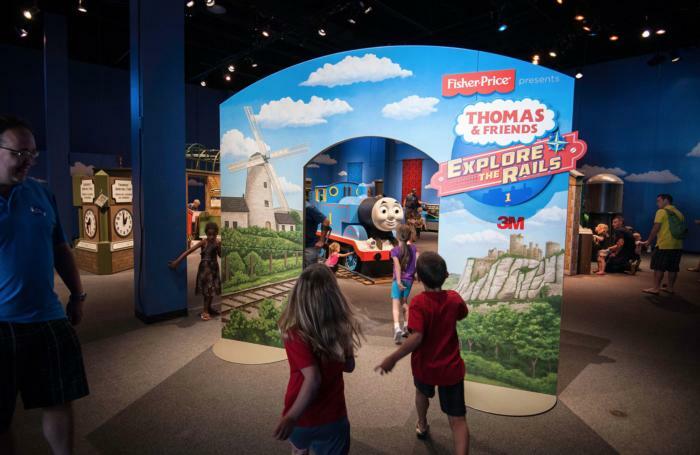 Thomas & Friends: Explore the Rails will be at the Discovery Center Museum until Sunday, May 12, 2019. The museum is located at 711 N. Main St., Rockford, IL 61103. To learn more about Discovery Center Museum and other museums in the Rockford region, click here.